Pomegranate molasses is made by reducing pomegranate juice into a thick syrup. It is used as a dressing, sauce, or in drinks, tagines, desserts, and more. 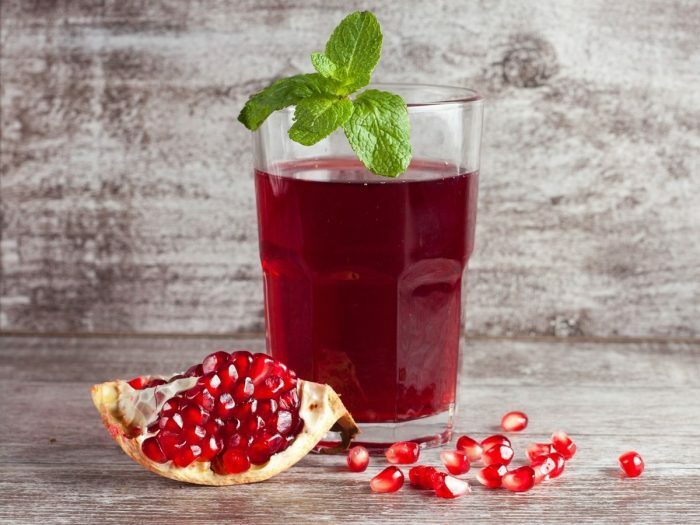 You will mostly see pomegranate molasses being used in Middle Eastern, African and Mediterranean cooking, usually to give the dishes a sweet and sour taste. This tart, thick, ruby red syrup requires only three ingredients, a bit of effort, and a lot of patience. Here’s how you can go about it. 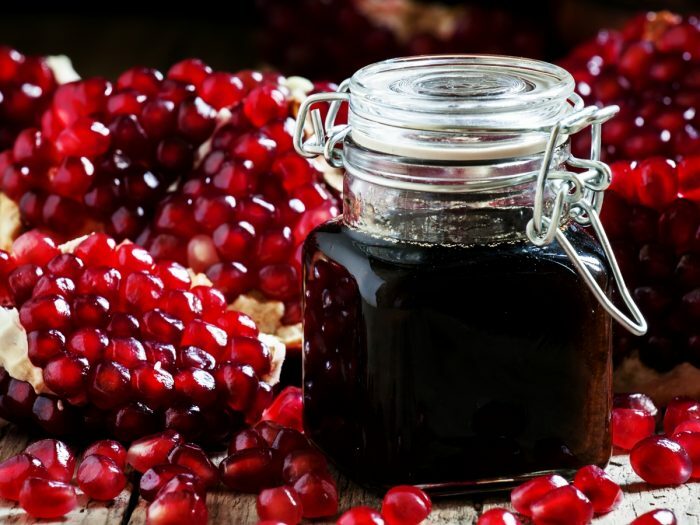 To make pomegranate molasses, take a saucepan and pour pomegranate juice, lemon juice, and sugar in it. Bring it to boil and then, let it simmer for another hour. Keep stirring it occasionally until it turns a deep red color. Turn off the heat. The mixture may be slightly runny, but that's okay as it thickens once it cools down. Let it cool for 30 minutes. Pour the molasses into a glass jar and seal it tightly. Use it immediately or store it in the refrigerator. The last 10 minutes of cooking is very important. If you don't pay attention, you may end up overcooking it, giving it a brown color. You can refrigerate the molasses and use it up to 4 weeks. Adding lemon and sugar to the molasses increases its longevity and freshness, and also gives it a sweet-tart taste. You can adjust the proportion depending on your preferable taste.